The 'Happy' singer presented Lionel Richie with his lifetime achievement award. 14. 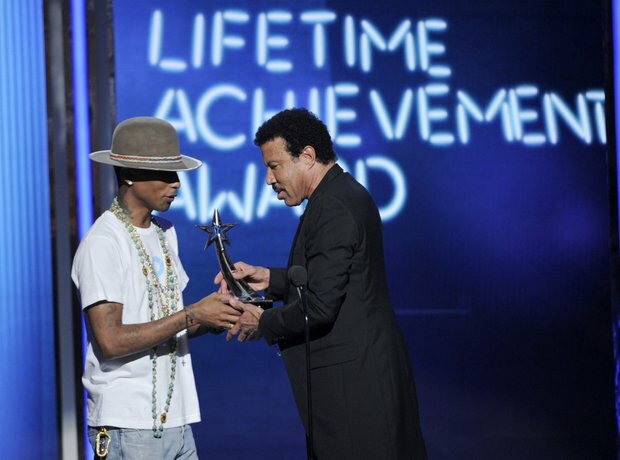 The 'Happy' singer presented Lionel Richie with his lifetime achievement award.